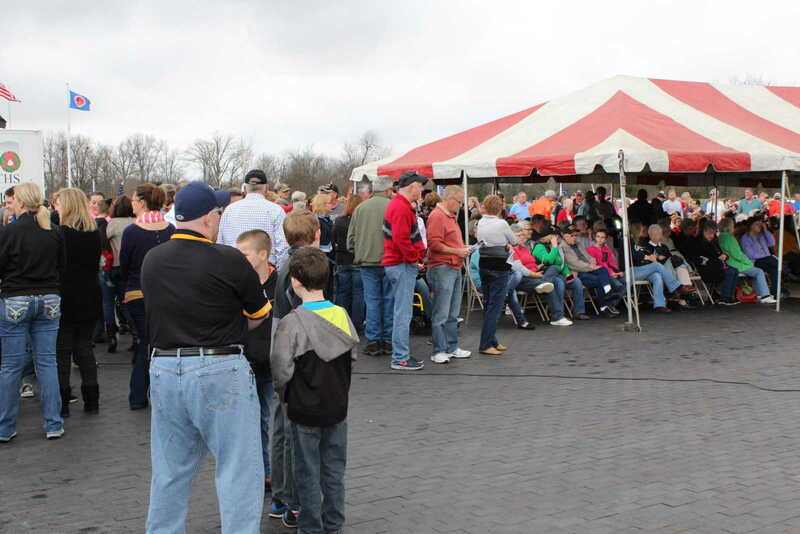 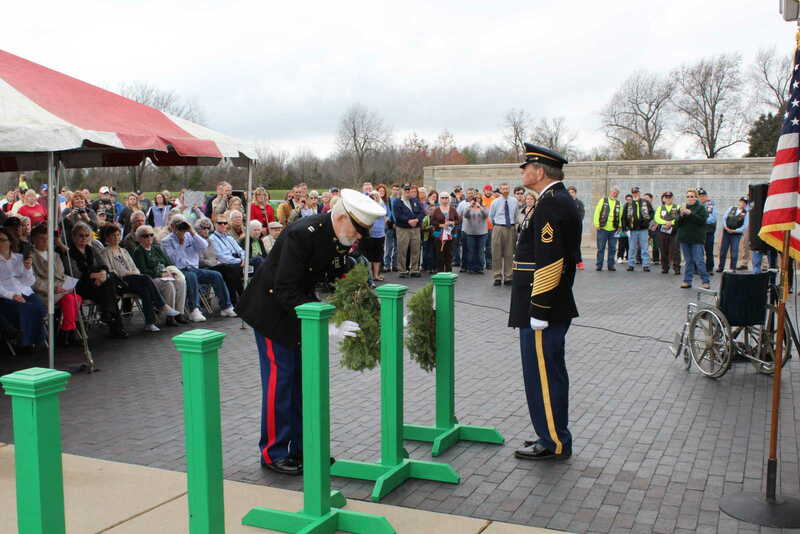 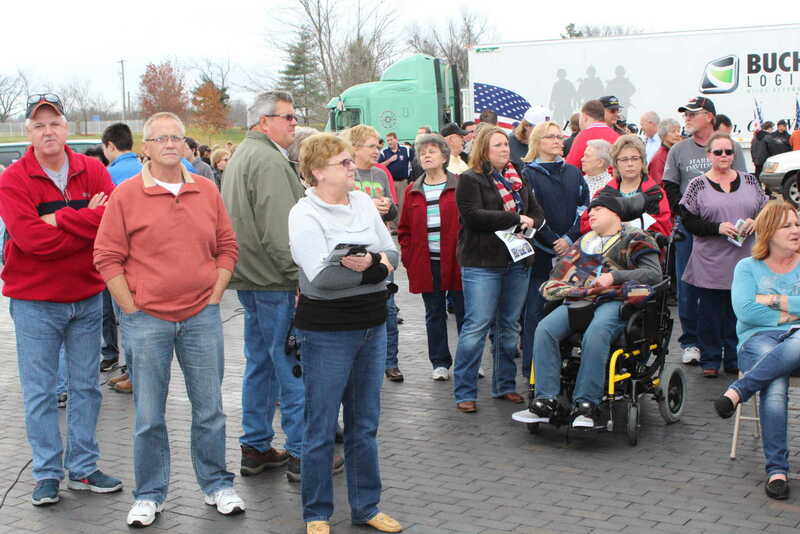 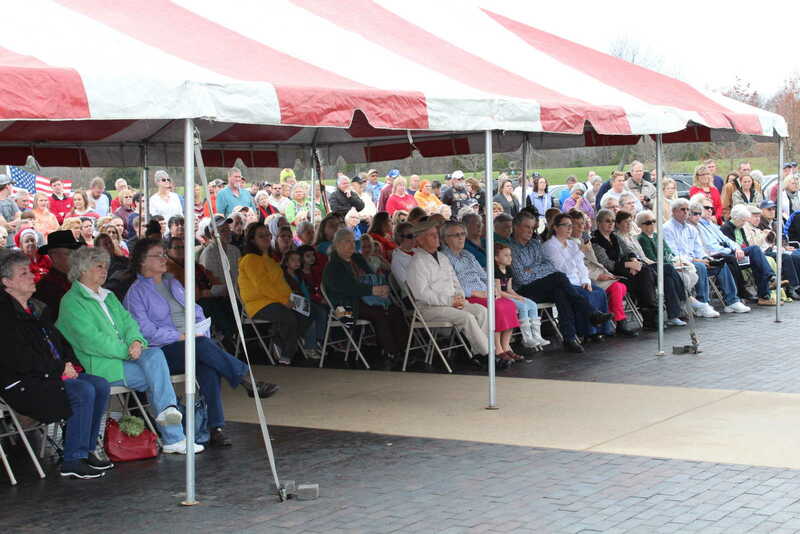 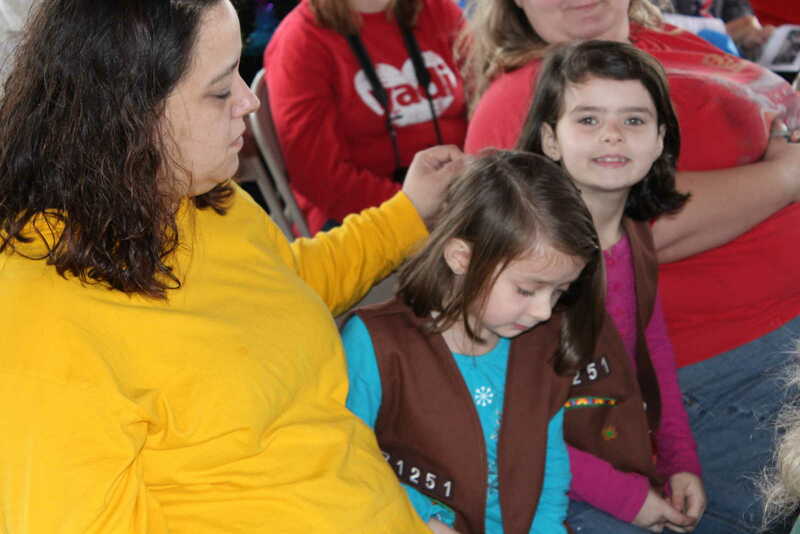 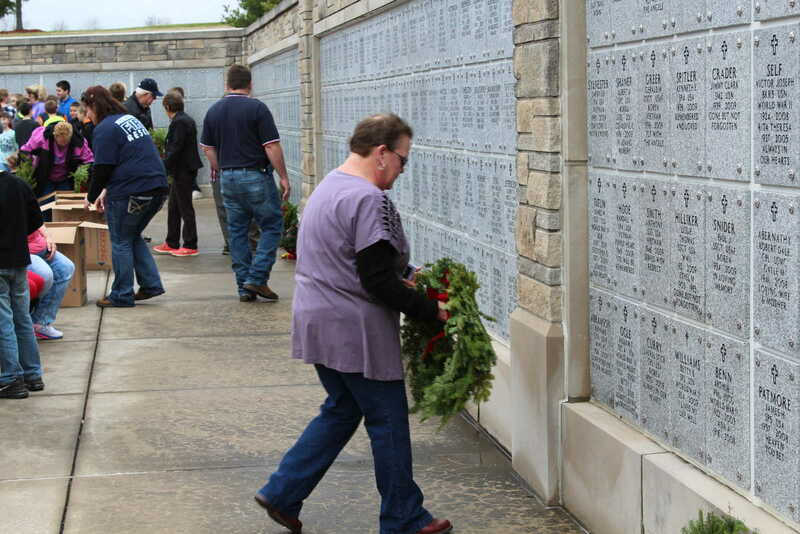 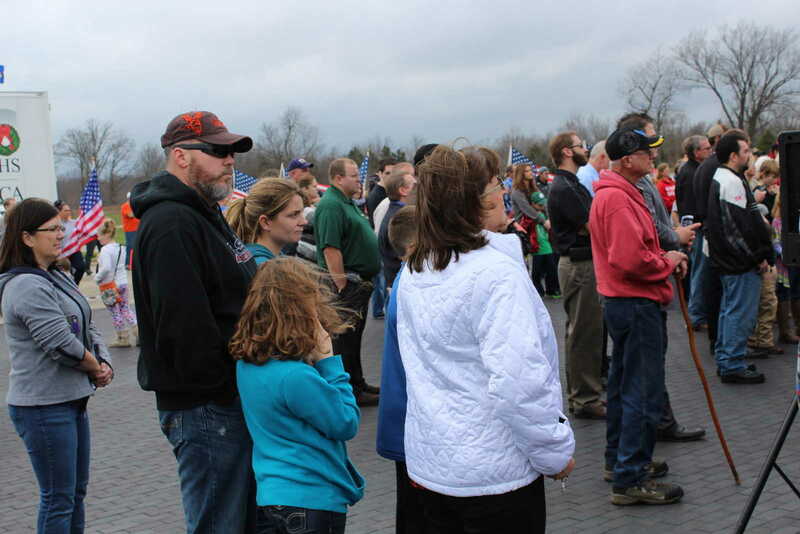 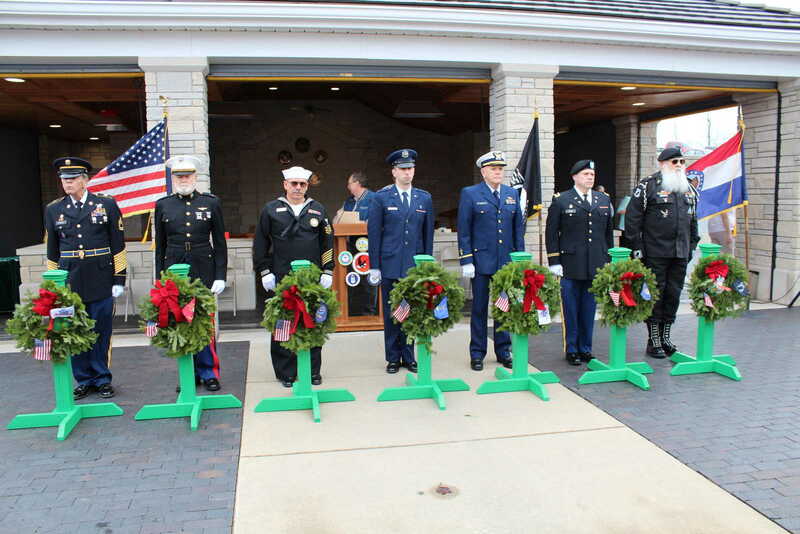 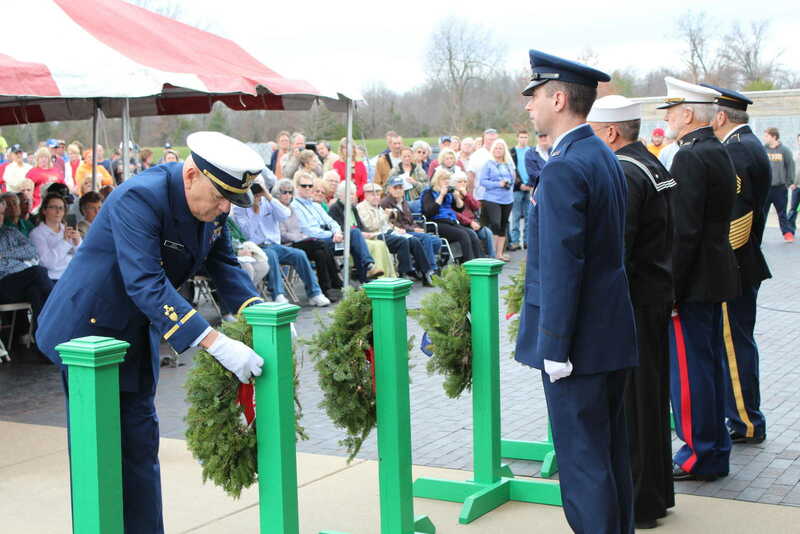 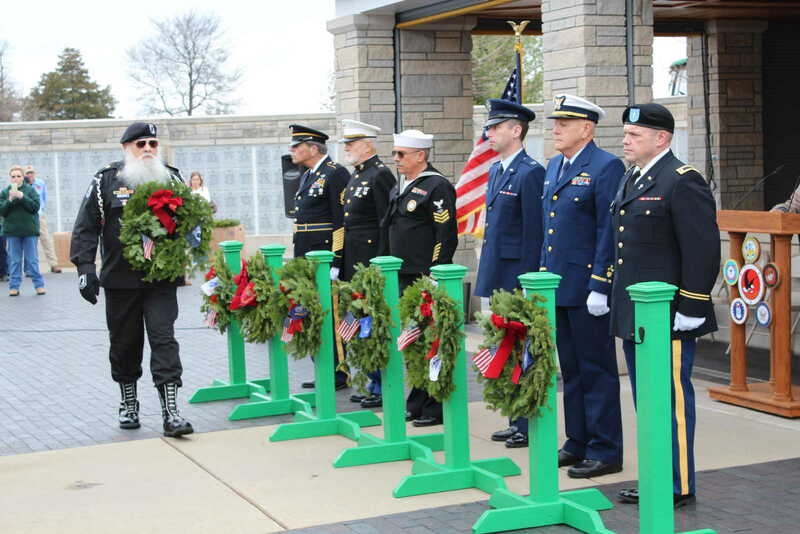 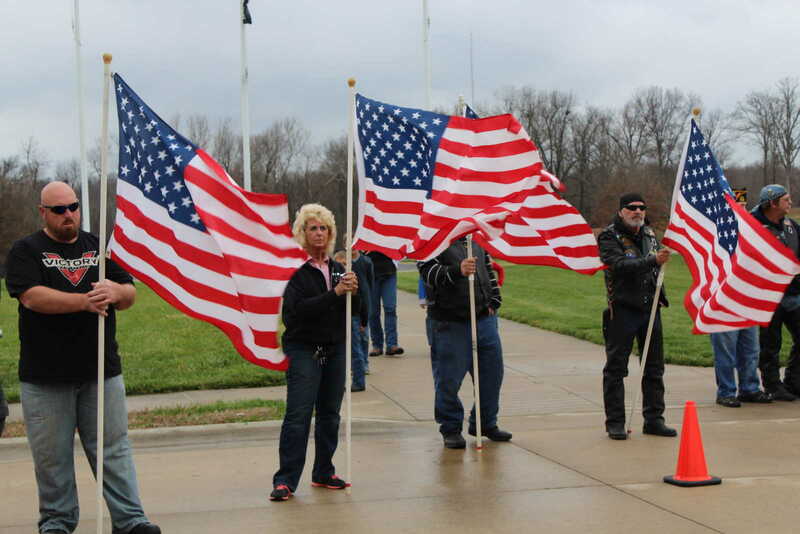 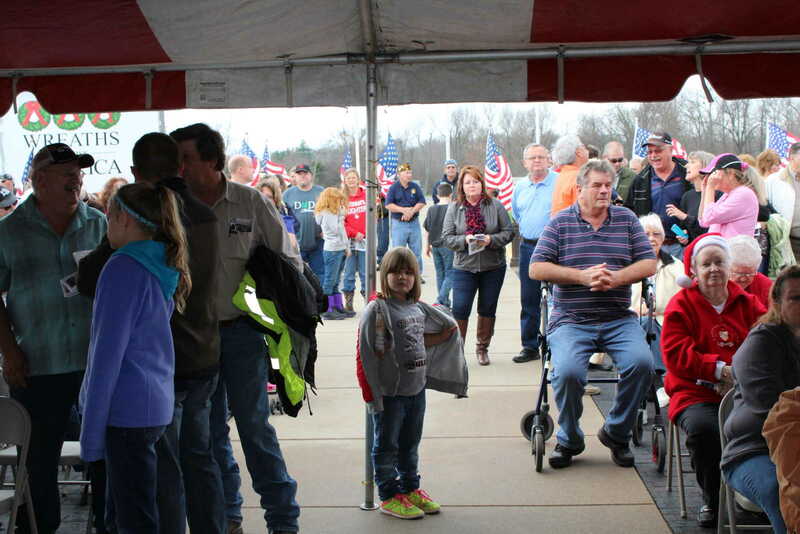 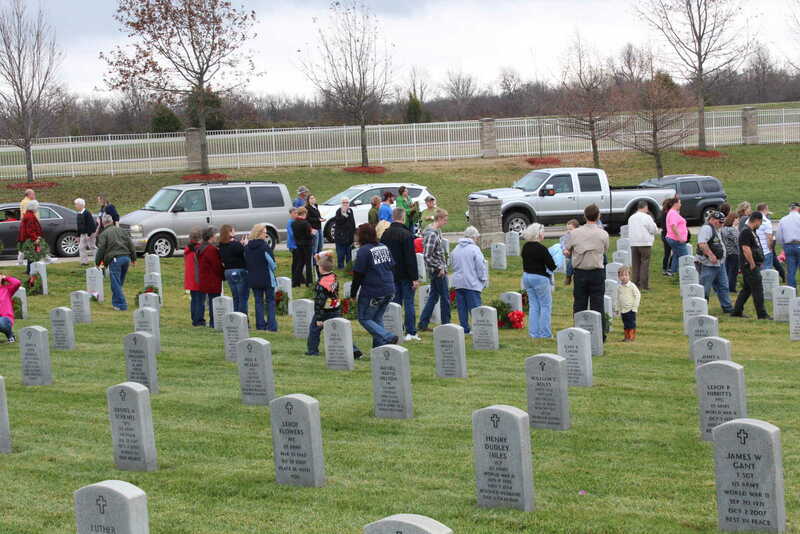 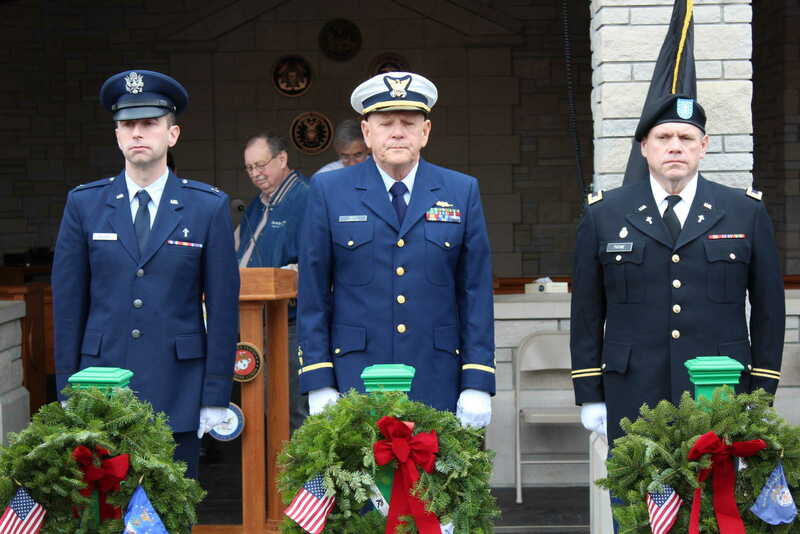 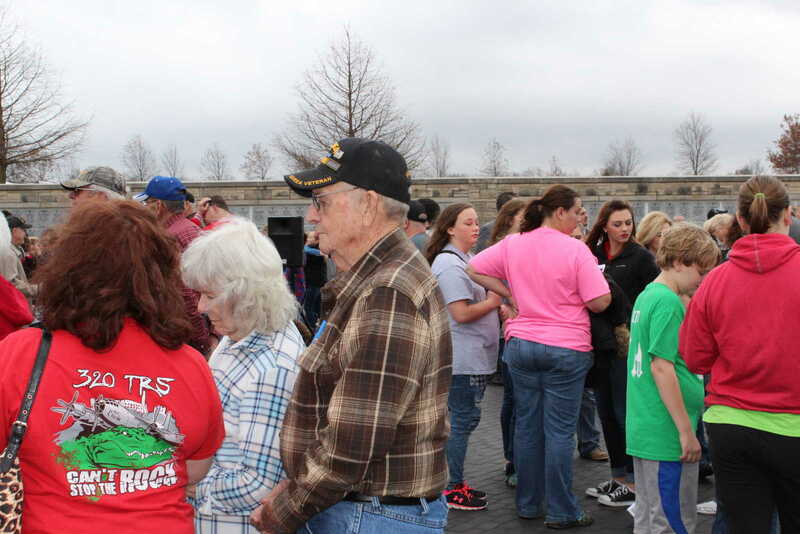 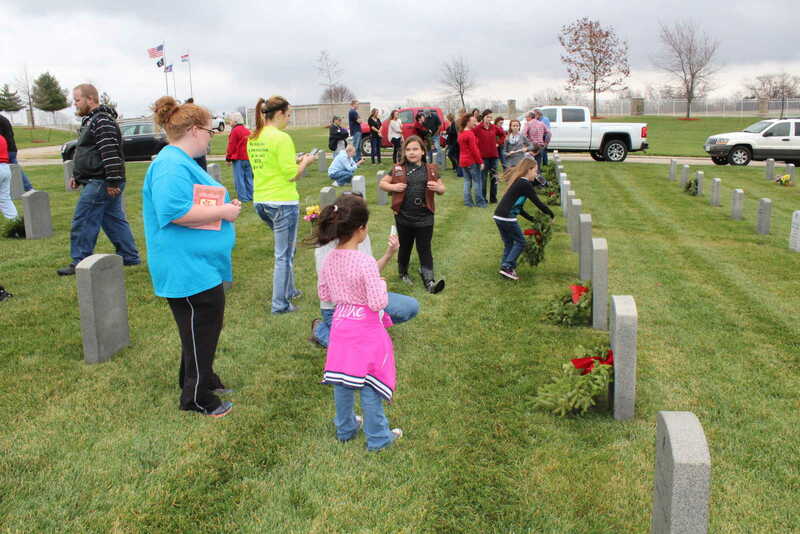 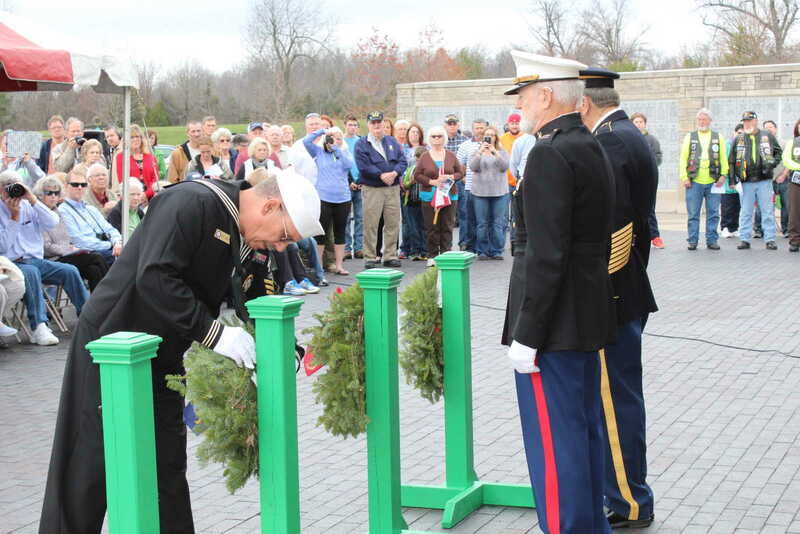 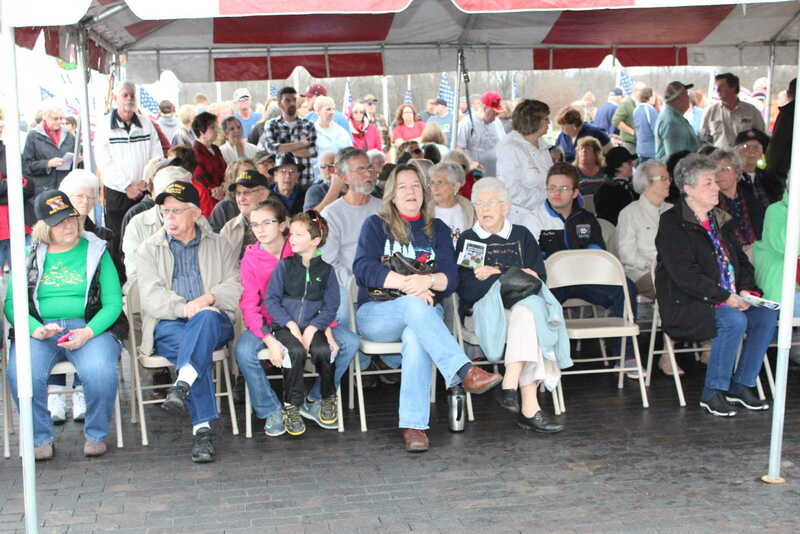 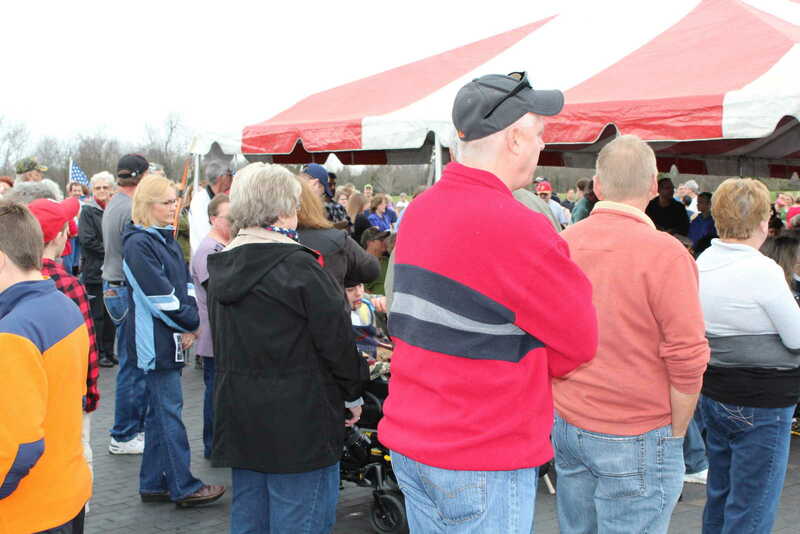 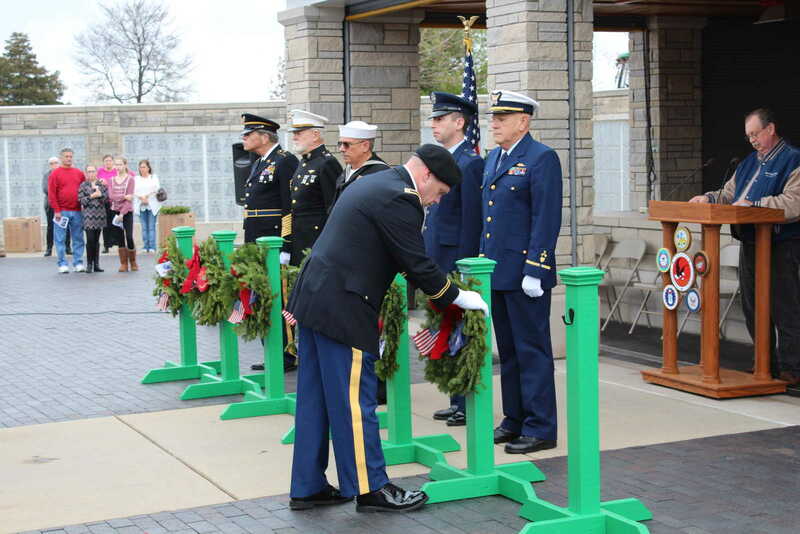 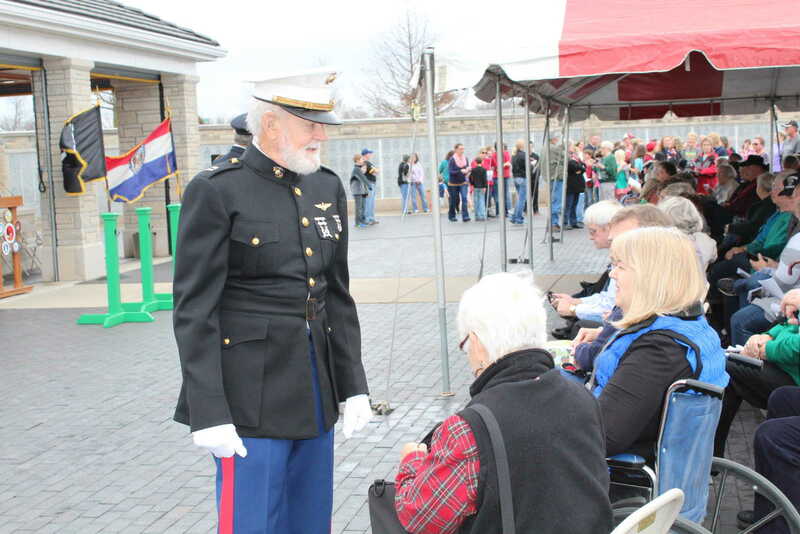 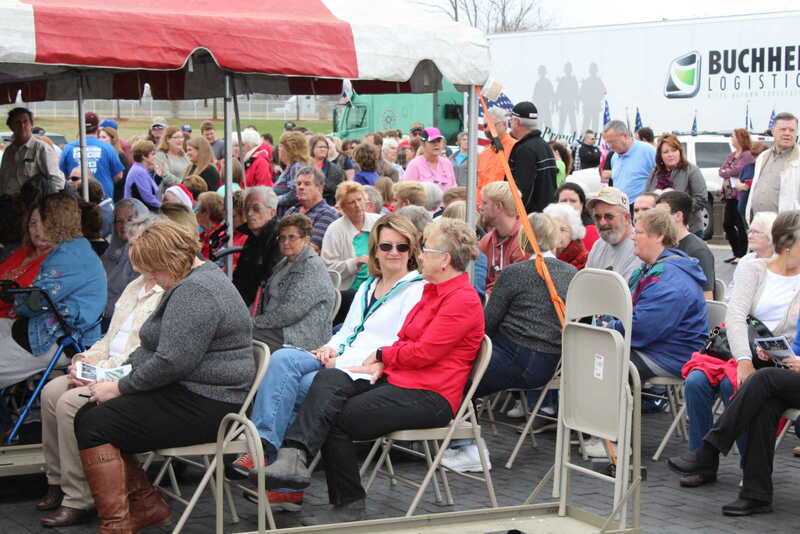 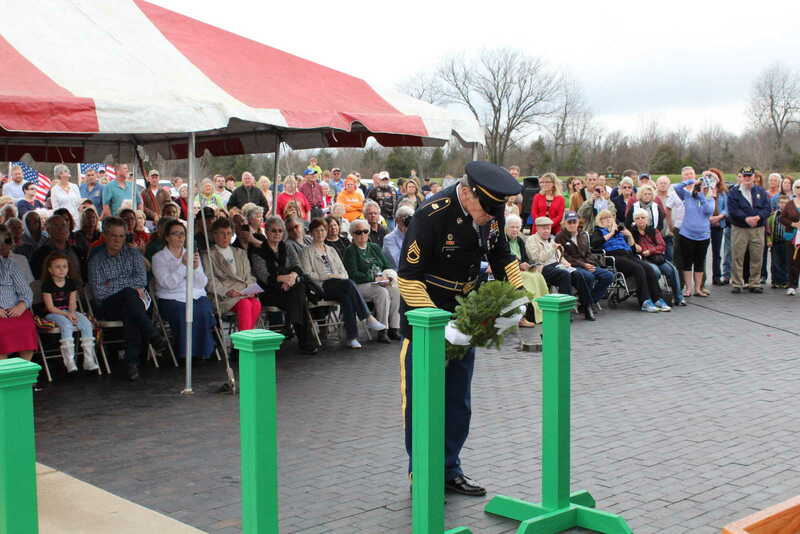 The 10th Wreaths Across America at the State Veterans Cemetery at Bloomfield Saturday drew a record crowd as the weather was the warmest ever for the event. 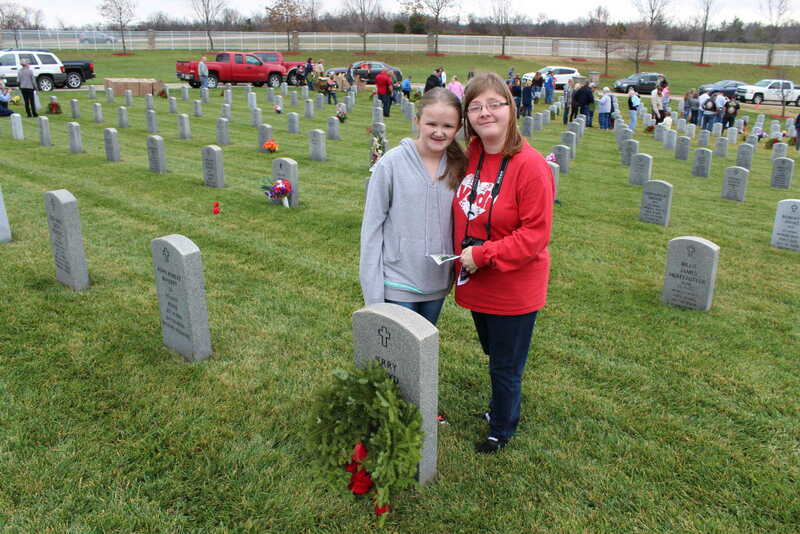 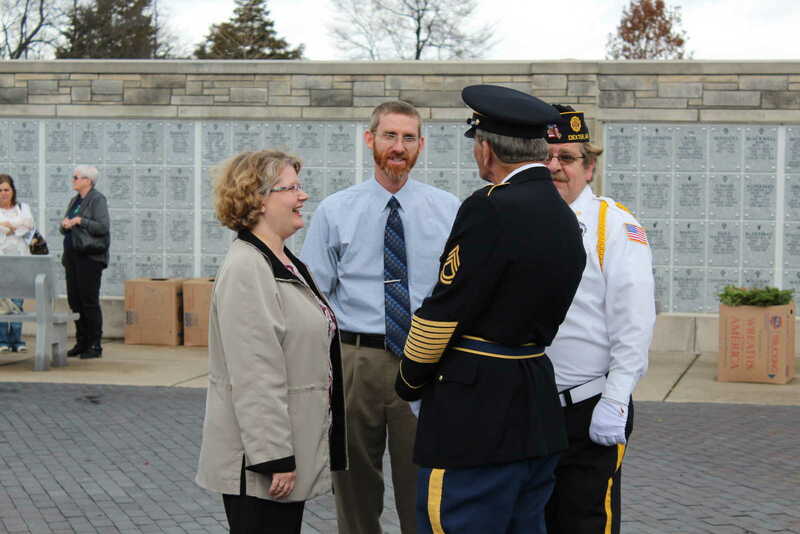 The seven ceremonial wreaths were placed ad families placed the weaths. 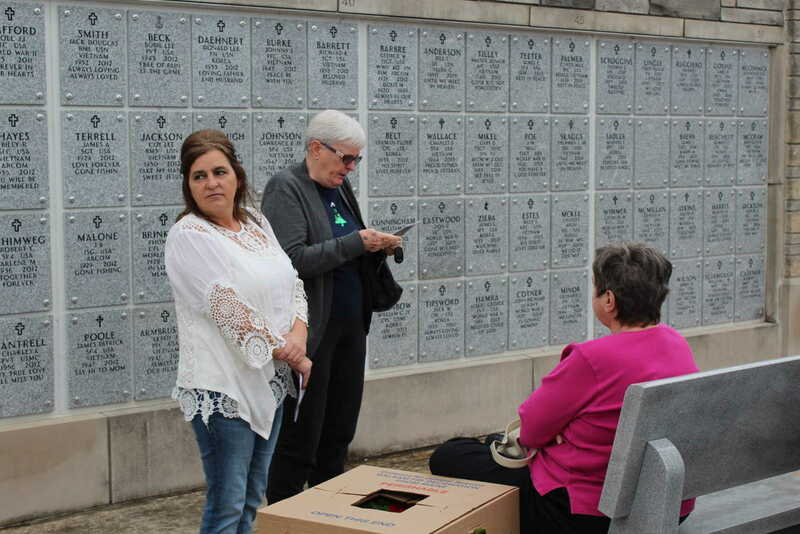 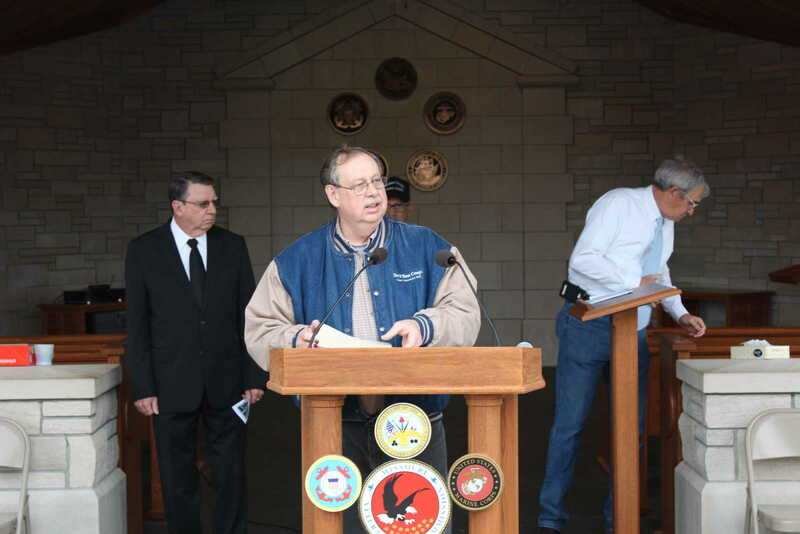 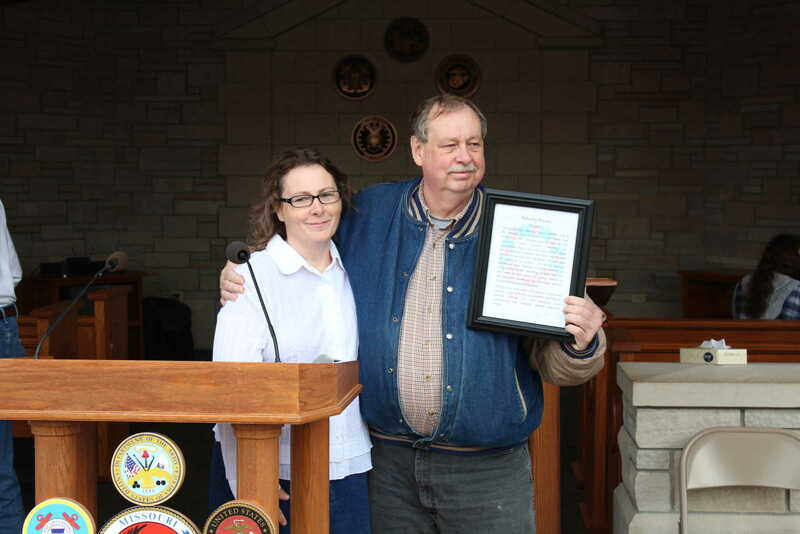 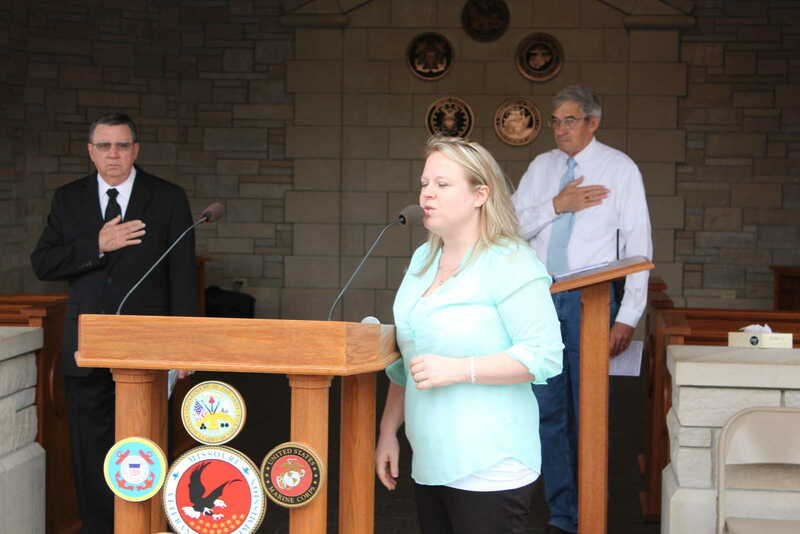 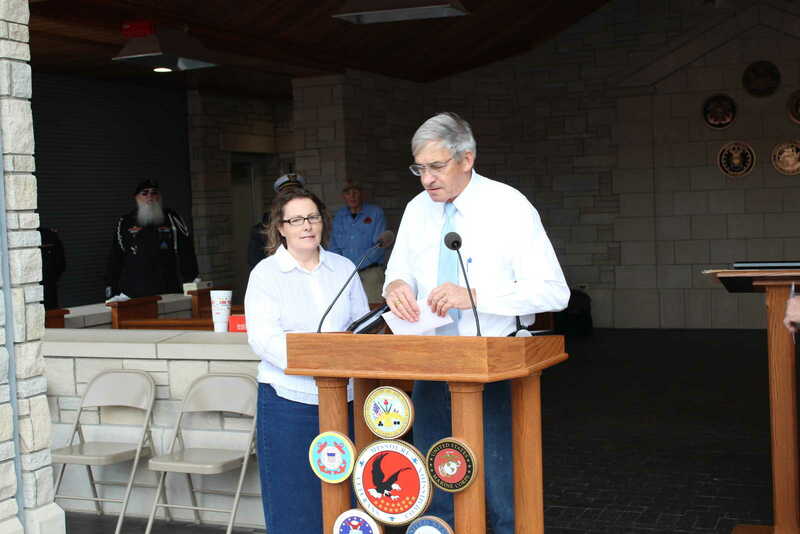 Cemetery Director Ken Swearingen gave plaques of appreciation to Randy Dunn and Theresa Williams for helping organize the intial event and keeping keep the traditon going for the last 10 years. 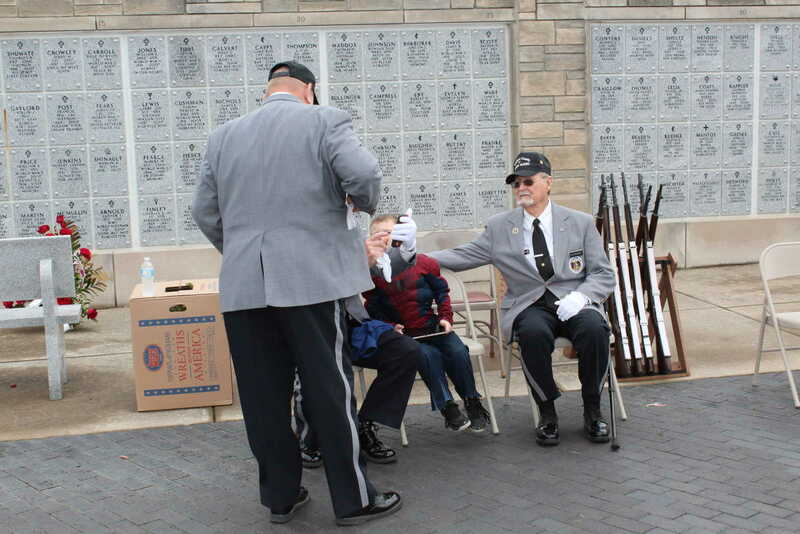 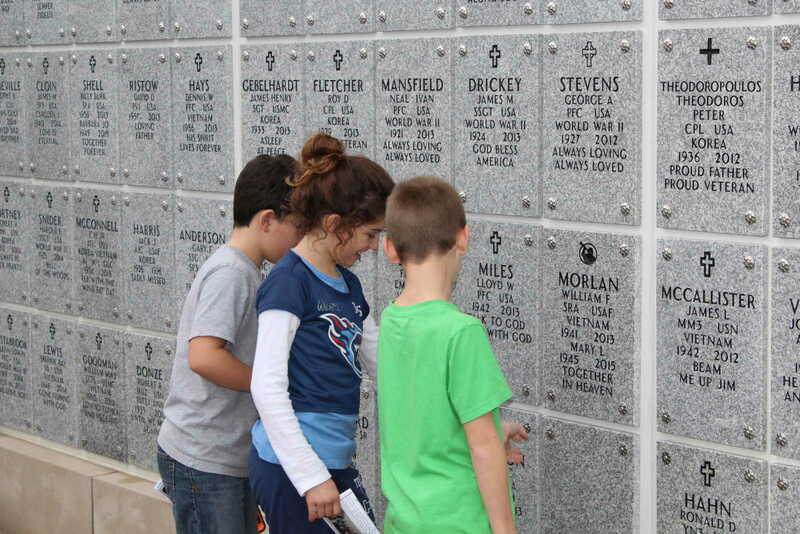 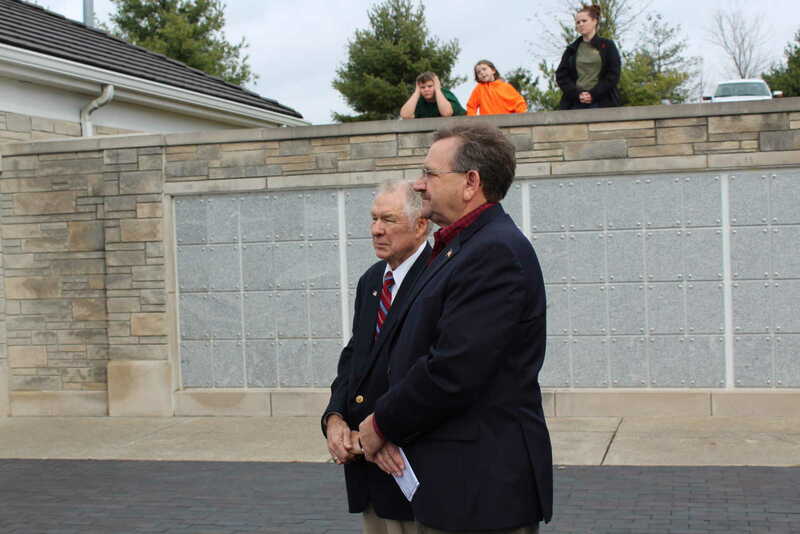 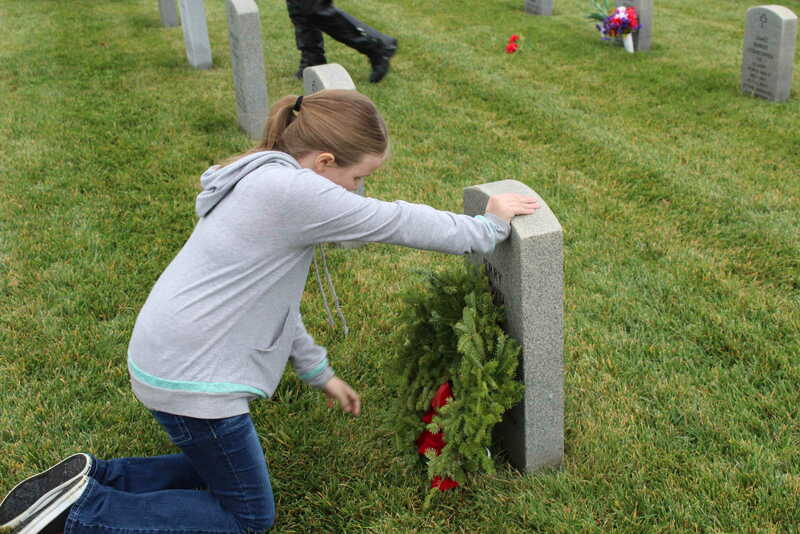 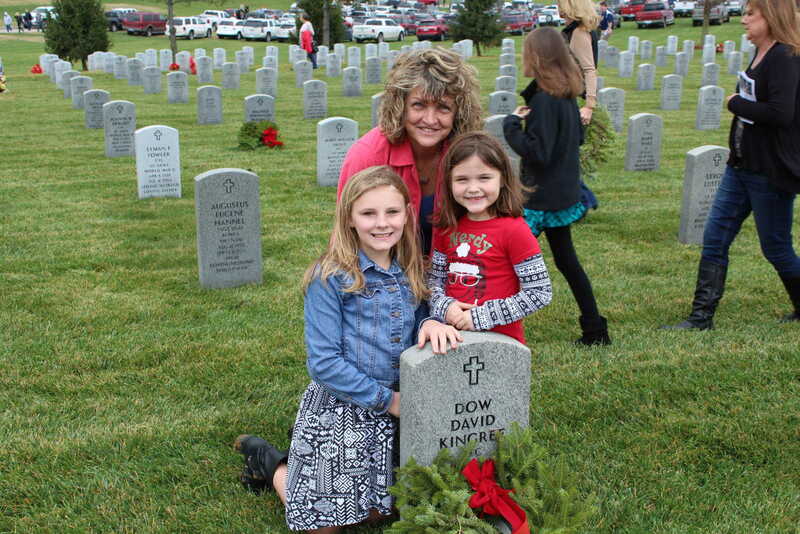 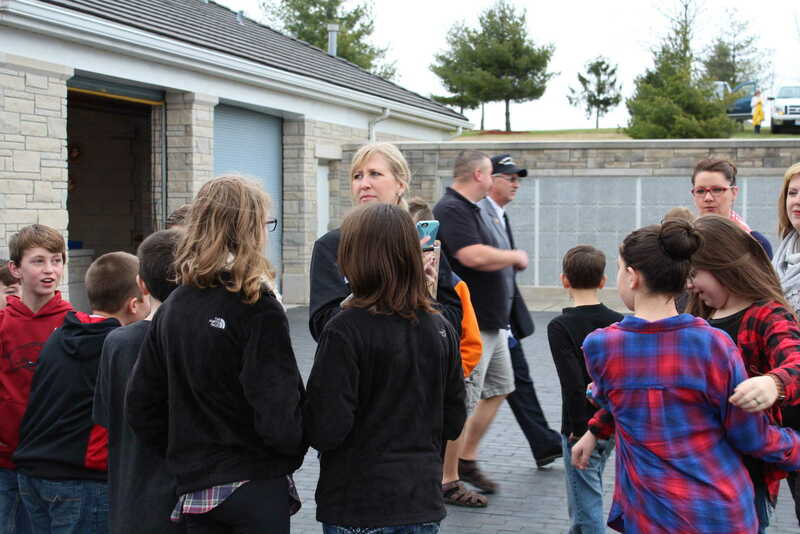 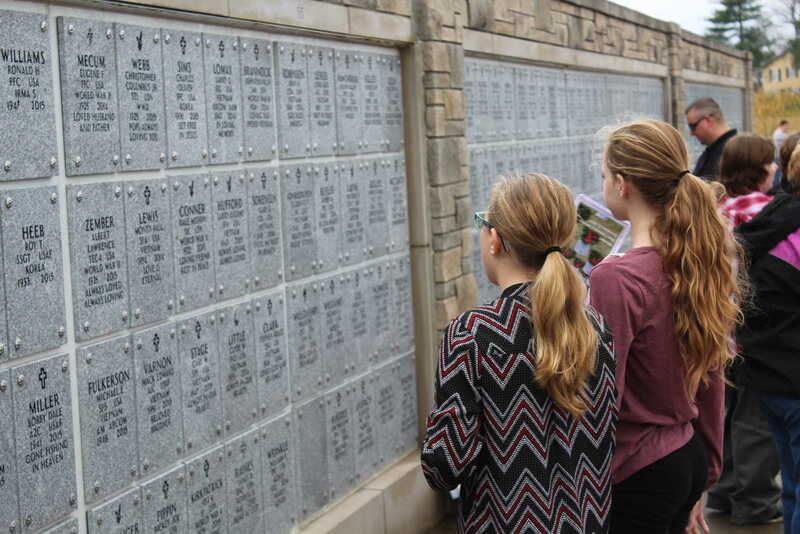 Again this year enough money was raised to put a wreath on every grave at the cemtery, over 2,000 in all.